My working day is an occasional series in which publishing professionals talk about their jobs. 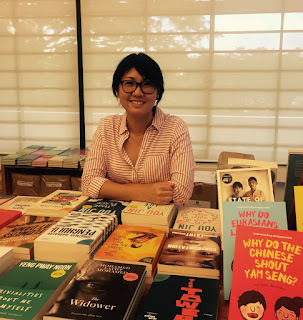 Eldes Tran is an assistant editor at Epigram Books, Singapore’s largest independent publisher of local stories for all ages. She mostly edits nonfiction manuscripts, but also some children’s books. Apart from editing, she also acts as a project manager seeing a book through all stages, including making sure the right illustrator is picked, the layout is balanced, and deadlines are met. 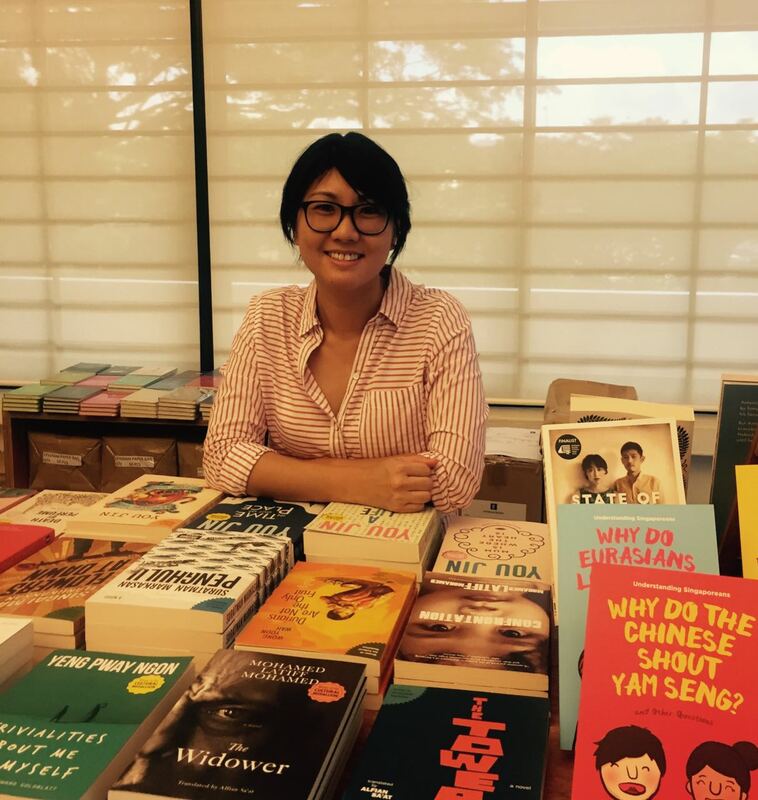 Epigram Books is Eldes’ first foray into book publishing, but she has been an editor for 11 years in the US and Asia. She started at newspapers Newsday and the Los Angeles Times, and later spent six years in Hong Kong with the South China Morning Post and New York Times. Days at Epigram Books can vary drastically. A typical working day may include meetings with authors or illustrators, nitty-gritty editing (my favourite part) and administrative chores (my least favourite). Epigram Books publishes 50 to 60 titles a year and in several genres: fiction, nonfiction, graphic novel, young adult, middle grade and children’s picture book. It’s a wide repertoire and there is always something interesting in development here. Today, I am overseeing the last stages of what may be one of our funniest titles of the year, Mee Siam Mai Hum: Some of the Darnedest Things Our Politicians Say. It’s exactly as it sounds: an illustrated book of quotes from Singapore’s politicians. Before sending it to the printer, an intern and I check through the text for what feels like the fiftieth time. The quotes are double- and triple-checked against primary sources, and the politicians’ names and titles are verified again. Earlier in the day, the printer had sent us proofs so we could see how the true colours look on the wood-free paper that will be used. The illustrator, in-house designer and I find the colours and trial proofs to our satisfaction. Lastly, I go over any other changes with the publisher, Edmund Wee. By the end of the day, the designer sends the files off to the printer. We won’t see those pages again—beautifully bound between hardcovers—until two weeks later. Throughout the day, I am also handling emails from authors and illustrators for picture books. That includes non-editorial questions about contracts, royalties and deadlines. For some projects, decisions must be made about print run, binding, type of paper, trim size, cost, etc. I consult the production manager, rights manager, publisher, designers or marketing. Particularly for a children’s picture book, more parties are involved. I meet with the illustrator and the author for a title slated for early next year. The project is part of Epigram’s Prominent Singaporeans series, illustrated biographies about the lives and contributions of important people. This particular title is about a certain famous orchid breeder and the author is giving the illustrator historical reference material. We talk about the style of the illustrations, deadlines and other details. I did not have any downtime today, but if I did, I would’ve looked through the manuscript submissions and flagged any potentials. Those manuscripts will be passed around to other editors, discussed at length and worked on at a later date.